People on the elephant’s side of the political spectrum are all out with torches after former IRS official Lois Lerner was reported to have lost important information in the form of emails. How’d she lose that data? A bad hard drive. So if the likes of the IRS aren’t immune to these kinds of controversial accidents, what makes you think you’re safe from losing your telemarketing leads in just the same way? Potential prospect information may not be on the same level as, say, compromising messages from inside federal agencies. (The latter is just too dirty!) What’s not different is the fact that even something like a corrupt hard drive is enough to make a mess bigger than it already is! But of course, it’s not just a hard drive any more for B2B lead generators. (Oh no. 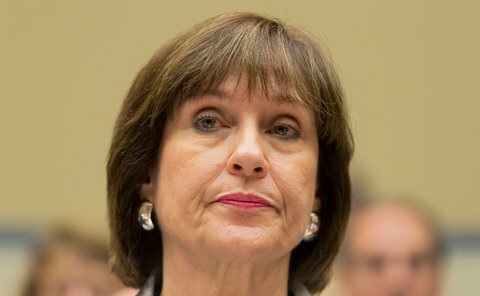 Thank you Lois Lerner for proving that point!) For them, you can’t beat a reliable CRM database. This (and other systems that should come with it) isn’t just for storing emails. They’re for storing everything a salesperson needs to do well at their job (and not get fired)! No walls, period – This list of CRM corruption tricks doesn’t just call IT professionals to act. More likely it shifts just as much responsibility to the marketers and salespeople putting in the data. If you’ve been cautioned against silo mentality before, consider this another reason why you should listen. Don’t underestimate investment – Relying on just hard-drives to store critical information kind of makes you wonder where you spend your real money. With that said, don’t even think about cutting corners when trying to invest in everything from a CRM database to competent employees that don’t cause it to crash. Unbiased targeting – This sounds like an oxymoron. How can you target with having some sort of bias? In the IRS scandal, the targeting involved was described as inappropriate. You think there’s no inappropriate targeting method in B2B lead generation? Think again. How do you think sales and marketers usually disagree? It’s because they too don’t always have the same idea of what qualifies as a target. If you’re not a fan of the IRS, this might be another reason to keep on hating. But for all your hating, make sure you don’t make the same mistake. Do more to gather and store the vital information in your email and telemarketing leads.